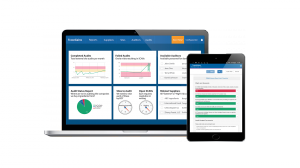 WESTMINSTER, COLORADO, UNITED STATES, January 8, 2019 /EINPresswire.com/ -- TraceGains, the leader in supplier compliance and quality management software for food, beverage, and supplement companies, today introduced TraceGains Audit Management, the only network connected SaaS-based audit management system in the industry. Audit Management digitizes and streamlines the audit process for all facilities and suppliers. With an optimized interface, users can schedule, conduct, and track audits on a single platform with any device. Leveraging supply chain information in TraceGains Network collected from more than 7,000 suppliers in 17,000 locations worldwide, audit teams can review historical documents and identify suppliers with the most critical threats. Automated notifications, workflows, and task assignments help track the progress of audit teams, and real-time reporting flags key findings and corrective actions. Seeing all audit data at a granular level empowers Audit Management users to immediately access audit findings, reducing audit time from days to hours. The system is configurable and can support a variety of regulatory and voluntary standards including FSMA, FSVP, GFSI, HACCP, and cGMP. The tool’s automated alerts used together with reports and scorecards can quickly reveal out-of-compliance ingredients, facilities, and suppliers, as well as any operational flaws to help drive continuous improvement. With geo-location capabilities, overseas audits can be grouped together to reduce travel and expenses. At the heart of TraceGains is an advanced network platform that allows companies to automate and streamline their processes through instant information sharing and collaboration throughout the supply chain, fueling digital transformation and product innovation.